We just returned from spending a lovely week with my aunt and uncle’s family in the Northwest United States. Unfortunately we had rain the entire time but still managed to have fun. We were able to enjoy a few hikes along the river, leisurely afternoons tucked into coffee shops and evenings at local restaurants. My family’s hospitality was truly a blessing and I wanted to thank them by preparing one of my favorite recipes. After all, hospitality is a habit! 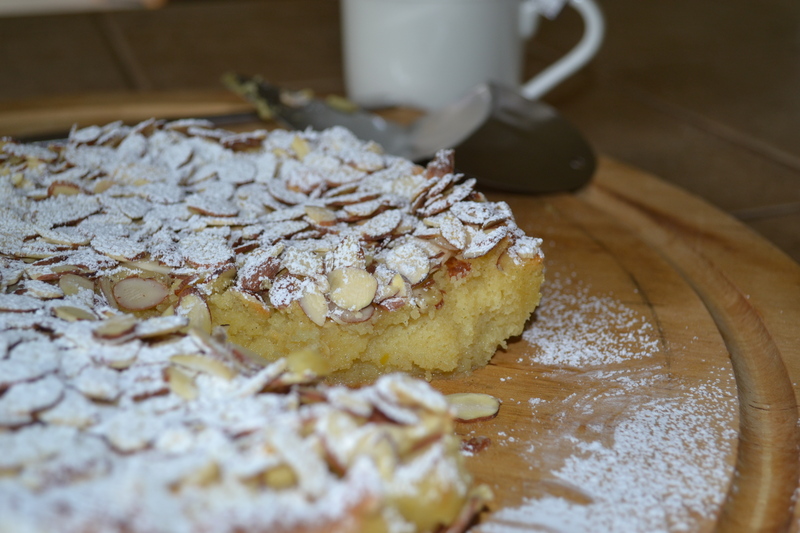 I decided to make lemon, ricotta and almond cake. I found this recipe a year ago on Cakelets and Dolies and I stick to the recipe. It truly is divine and my family enjoyed it! As a guest you can still provide hospitality. Bring a hostess gift (look for future posts for creative ideas), or send a thank you note or gift. You can also bless your hosts by preparing a meal or dish. I thought this cake was perfect for our visit. 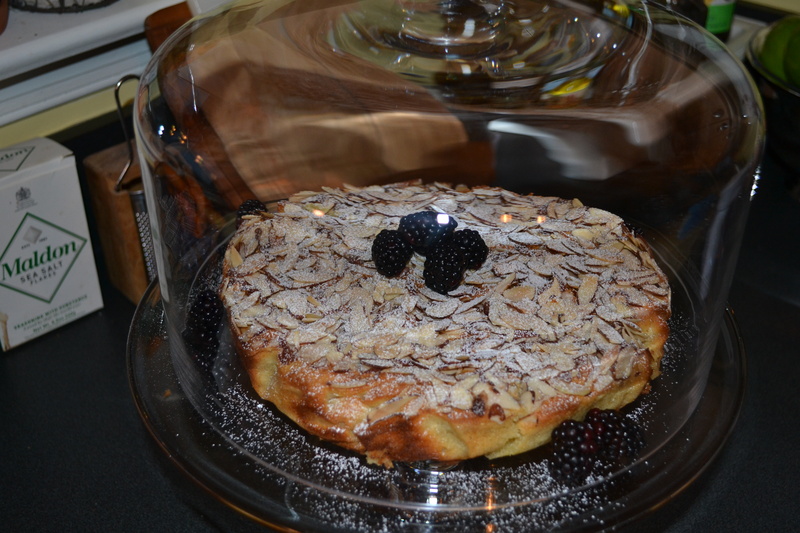 The flourless cake I prepared for my aunt and uncle is perfect as a dessert. It can also be served for breakfast with a favorite cup of coffee or tea, my preferred option. I am at my happiest in the kitchen with good friends or family. 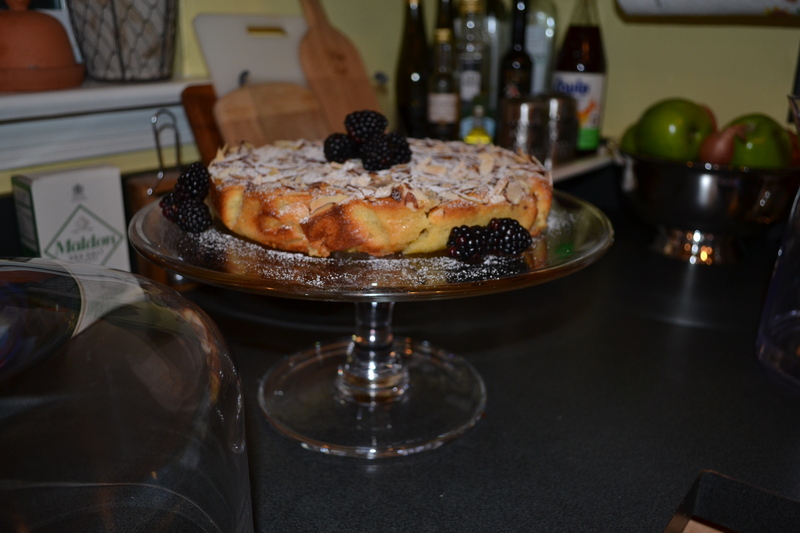 So my vacation was improved by spending an evening making this lovely cake with one of my dearest friends, my aunt. As we talked and baked the cake the background was filled with the familiar dialogue from “To Catch a Thief,” which my cousins were watching in the other room. Old movies are another of my loves and anything with Cary Grant and Grace Kelly tops the list! 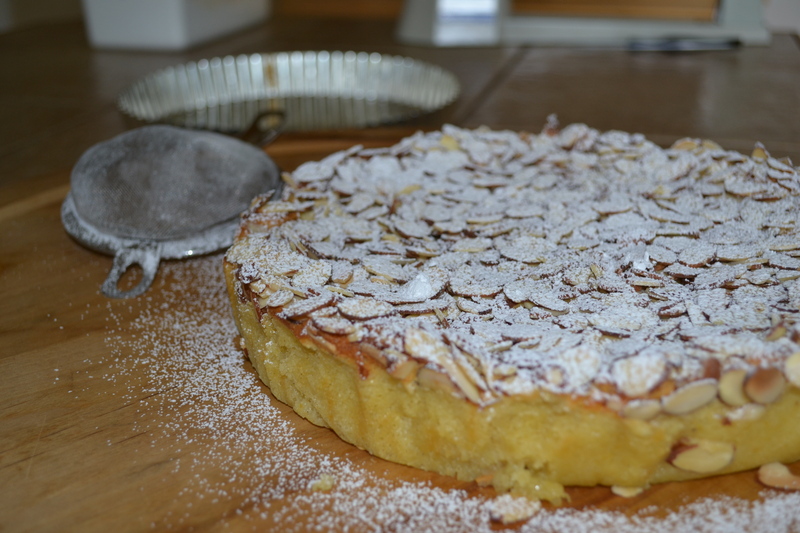 What a great atmosphere in which to bake one of my favorite deserts. Hostess Tip: If you are visiting a different altitude and plan to cook, as we were, remember to adjust your temperature and time of baking. We finished the cake quite late in the evening so we let it cool over night and enjoyed it the following morning. Another bonus of this cake, you do not need everyone at the table to serve. I served a slice as each family member awoke. 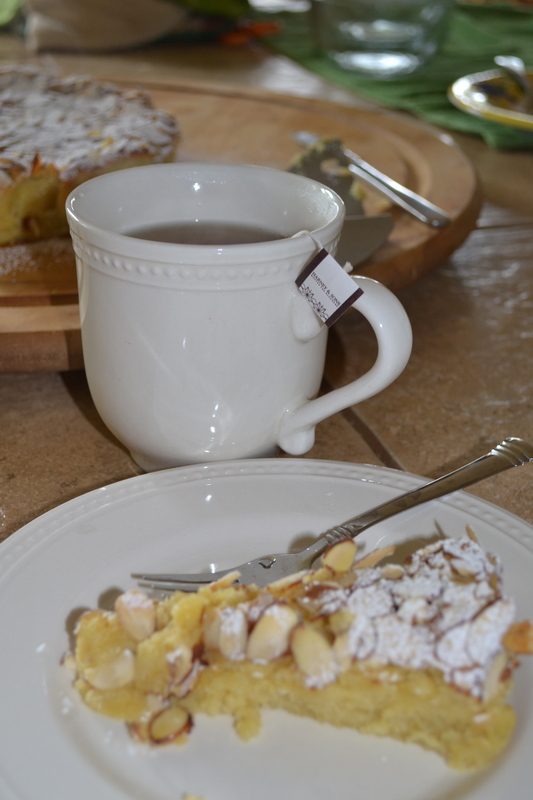 It allowed me a leisurely morning with each person over a cup of tea and their serving. More likely than not, the ingredients you need for this recipe can be purchased in near exact measurements on the road. Where possible highlight local ingredients. 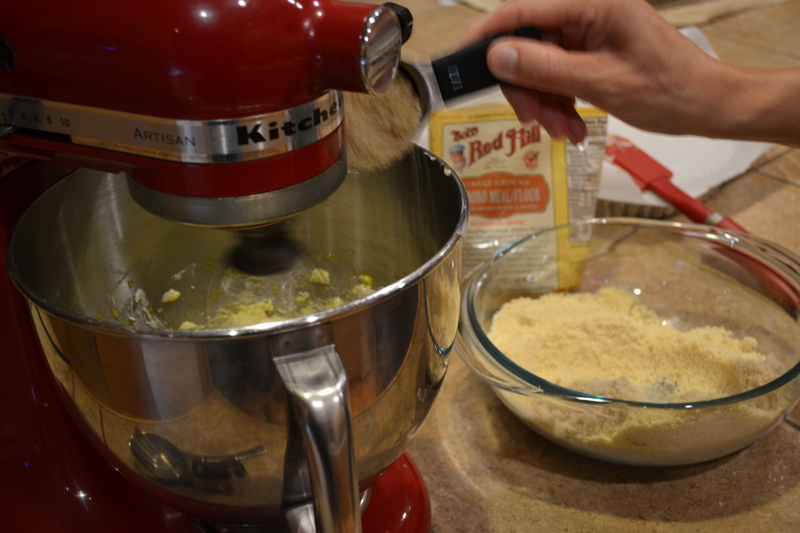 Since we were in the Northwest it seemed appropriate to use Bob’s Red Mill Almond Meal. Line the base and sides of a springform pan with parchment paper. Cream the butter, 1 cup of the sugar, vanilla seeds, and lemon zest in an electric mixer until pale and creamy, about 8-10 minutes. 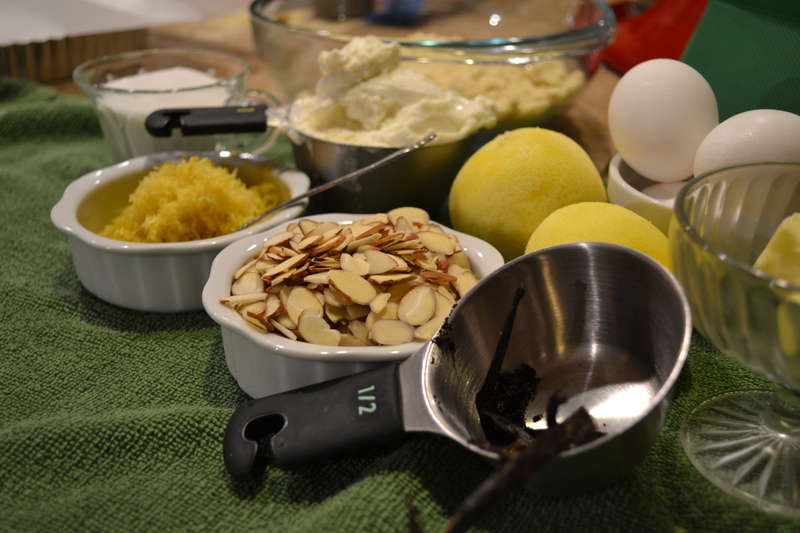 Scrape the sides of the bowl and gradually add the egg yolks, one at a time, continuing to beat until combined. Slowly add the almond meal while still beating. Fold in ricotta cheese until combined. Whip the egg whites into soft peaks and gently fold into mixture with spatula. 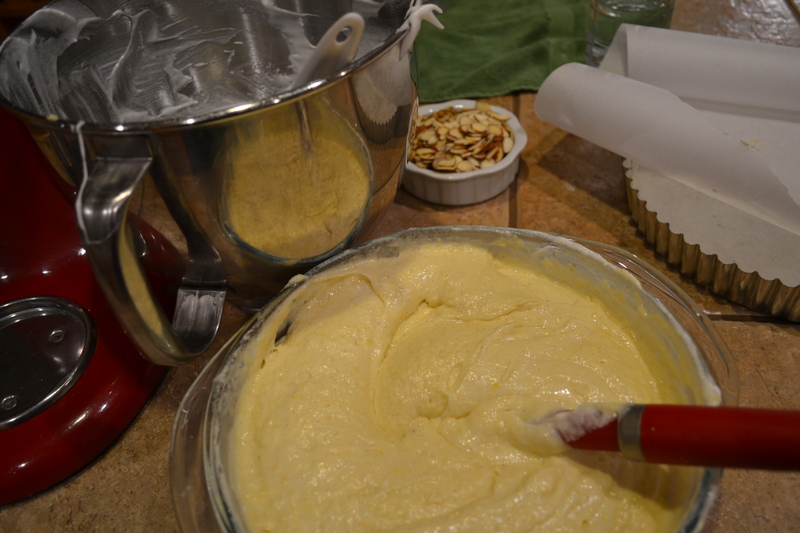 Pour the mixture into the pan carful to help the batter settle evenly. 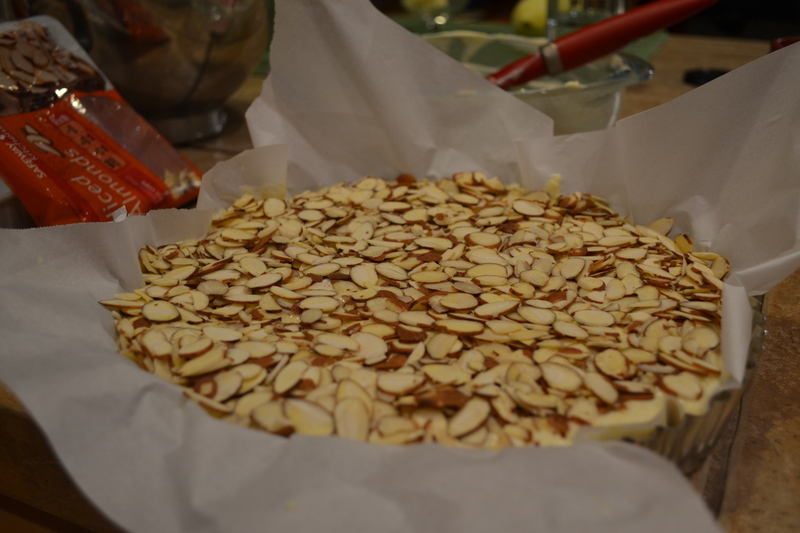 Trim excess parchment paper and evenly spread almond slivers over top of batter. Place the cake in the center of the oven and bake for 40-45 minutes or until cake is firm to touch in the center. Loosen the springform pan and use the parchment paper to lift the cake onto a serving plate. Carefully roll the parchment paper from underneath the cake careful not to crack it. Hostess Tip: if the cake does crack while removing the parchment paper, gently press the cake back together from the sides. Using a mesh strainer, sifter, or even a loos tea strainer to dust the top of the cake with powdered sugar. Add fresh blackberries, blueberries, or even cranberries and greenery around Christmas. Hostess Tip: Serving with an Illy coffee latte, or cup of Paris tea for breakfast and after dinner. Equally as good for desert or with a cold glass of champagne! This looks delicious (and gluten free, yay!) but am I missing the step where you used the egg whites or do you just need the yolks? Thank for pointing out the egg whites. I guess jet lag got to me. I have updated the post. You whip the egg whites into soft peaks and fold into the batter just before pouting into the pan.